It's going to be a great year for New Zealand airshows! 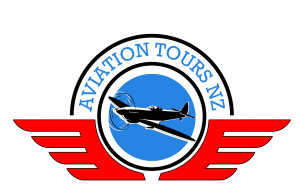 Tauranga air show kicks off the season on 21st January. The skies above Tauranga City Airport will reverberate to the sounds of fast jets and some of the fastest land based vehicles in New Zealand at the second annual picnic type Tauranga City Air show in January. The headline aircraft are jets, including the BAC Strikemaster aircraft flown by the RNZAF. There are also classic aircraft, sport aircraft, gliders and rc model aircraft expected. The RNZAF plan to display one of the new T6C-Texan ll trainer aircraft. Fast land based vehicles will be on static display all afternoon, with races of some of the world’s fastest production Super Motorbikes, dragsters and hot rods on the 1.8km runway. The 2017 Nissan GT-R 35 is expected to be making an appearance. Excitement is building for the 10th Wings Over Wairarapa Air Festival in Masterton,17th to 19th February. From the world's rarest vintage aircraft to a glimpse of the future there is something for everyone and that is just in the air. The Friday night show with the AeroSPARX gliding team looks to be pretty stunning. The following week The Royal New Zealand Air Force will celebrate its 80th anniversary with an Air Tattoo at RNZAF Base Ohakea on the 25th to 26th February. The two day event will focus on military aircraft and expects to feature an international Air Force contingent. The event will also showcase the Black Falcons aerobatic team flying the T-6C Texans and provide the public an opportunity to see, and understand, the work of the New Zealand Air Force and the contribution it makes to New Zealand. 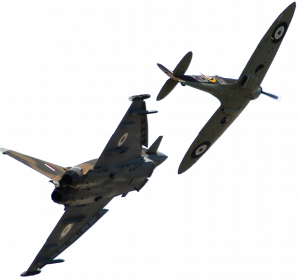 Then at Easter 14th to 16th April we have Classic Fighters. Classic Fighters Omaka is always known for its creativity and theatrical innovation and every year we see something that is completely new. Saturday and Sunday are the main show days with over 100 aircraft participating, together with mock airfield attacks supported by ground theatre and pyrotechnics. There will be something on offer to suit everyone, with musical entertainment, delectable Marlborough wine and food, merchandise stalls, a kid’s fun zone and a grand array of classic cars. We hope to see you sometime during the year!